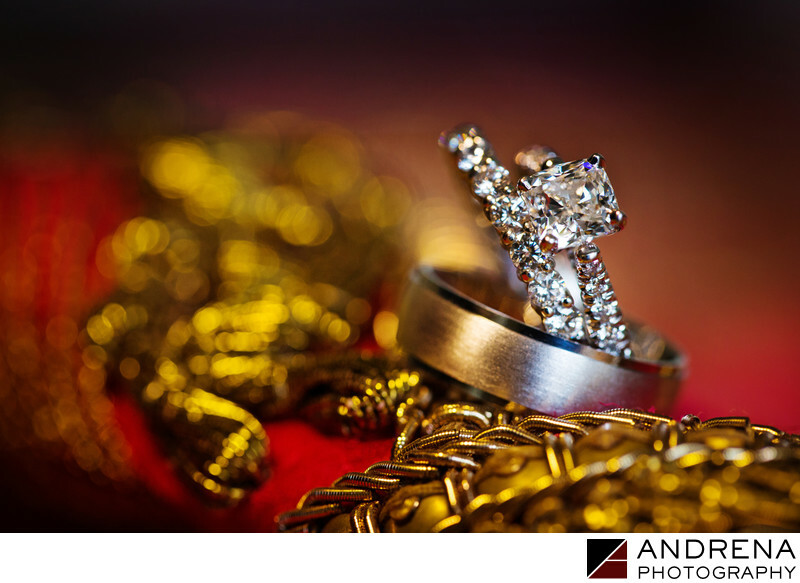 Creating the perfect ring shot takes patience, patience, patience. I love this ring shot because the platinum is so perfectly showcased by the gold and red colors in the foreground and background. Just another day in the life of an Orange County wedding photographer.